More than 250 wines from 66 wineries will be front and center when Taste of Sonoma: On Tour comes to the JW Marriott Houston Downtown (806 Main St., Houston, Texas) on Tuesday, March 1. Hosted by the Sonoma County Winegrowers and Sonoma County Vintners, in partnership with Sonoma County Tourism, the grand tasting event will feature winegrowers and winemakers from the famed wine region of Northern California introducing the diverse types of wines produced in Sonoma County and allowing wine tasters to meet the faces behind the labels. In addition to the consumer tasting, two breakout seminars will provide an in-depth look into the Sonoma Wine Country, including the remarkable diversity of the American Viticultural Areas (AVAs) and the initiative to become the first U.S. wine region to be 100 percent sustainably farmed. The main event of the evening, guests can meet Sonoma County winemakers and growers while sampling over 250 wines. Tickets are $65 per person and include all tastings, in addition to an array of passed appetizers, artisan cheese and charcuterie. 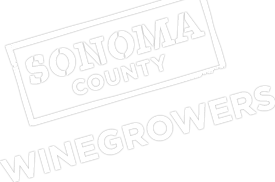 As a special add-on to the Taste of Sonoma grand tasting, this seminar offers an in-depth look at the diverse wine regions of Sonoma County and details how the varying soils, microclimates and geography lead to unique premium wines. Participants will learn about and taste some of the top varietals from each region. Tickets are $25 per person, and are an add-on to the “Taste of Sonoma: On Tour” grand tasting. Hosted by Sonoma County Winegrowers’ President Karissa Kruse, this seminar will focus on the destination’s commitment to become America’s first 100 percent sustainable wine region, multi-generational grape growers will be on-hand to share their personal stories and attendees will learn what the winegrowers are doing to become certified sustainable and taste a number of sustainable wines. To purchase tickets or for more information, visit tastesonomahouston.eventbrite.com.